For Your Computer, iPod®, CD Player, Satellite Radio or MP3 Player. 30 Years In Development By Some Of The World’s Greatest Musicians. 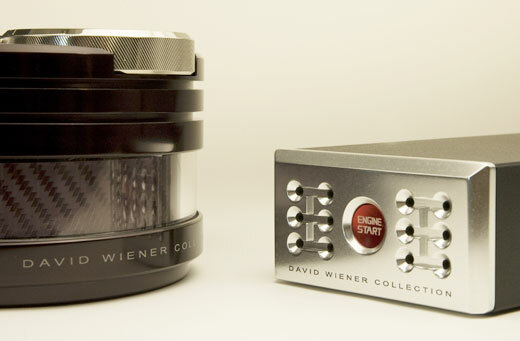 Brought To You By David Wiener Collection. 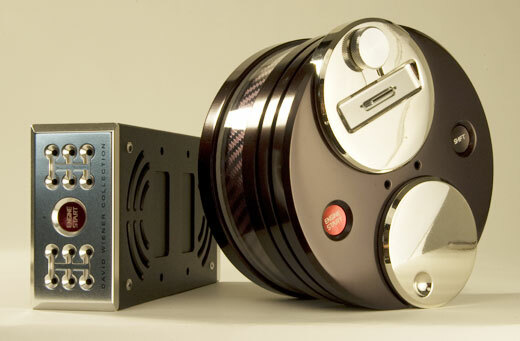 Designed To Make Music Listening A True Pleasure. Art.Suono, the second offering of the David Wiener Collection, is a limited edition, wireless music enhancing transmission system that allows you to play any music source wirelessly to any stereo or powered speaker system. Providing inputs for computer audio, CD players, MP3s, satellite radios, and an iPod® dock, the Art.Suono is the only music transmission system on the market today that gives you the freedom and flexibility to play your music wirelessly across any room and offers the recording industry’s finest music enhancement circuitry to bring your compressed music files back to life. Like the flagship DWC Ferrari Art.Engine home audio system, the Art.Suono is an innovative audio instrument and elegant sculpture of machined aluminum and carbon fiber that combines innovative technology with luxurious design. 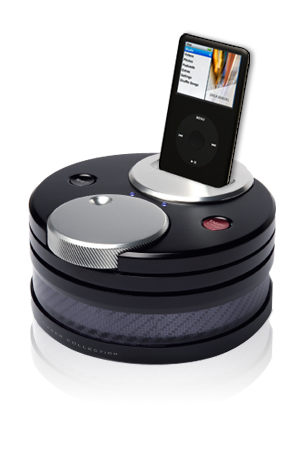 Art.Suono will stand out as a piece of audio jewelry wherever it’s placed. While Art.Suono is a high profile, luxury lifestyle product, it is also the most effective and practical of all wireless and iPod® related systems. In addition to the extraordinary DWC-Wireless transmission and DWC-APHEX® sonic enhancement technologies, Art.Suono features universal inputs and iPod® docking for any iPod® or iPhone™, an "Engine Start" power button, a "Shift" input signal switch, an input signal jack, LED indicators, and a convenient volume control designed to allow quick, yet precise volume changes and muting for those times when you need to talk on the phone. Installation is simple and quick, without the need for any tools or computer skills. 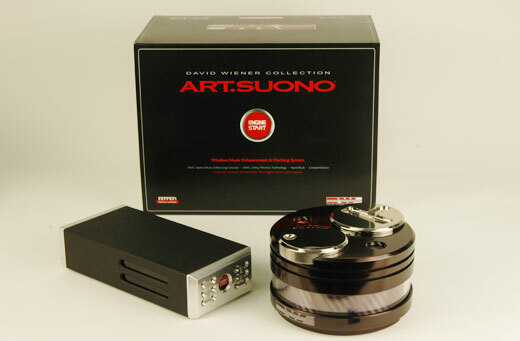 All accessories and wiring are included with each Art.Suono system. "A breakthrough in musical entertainment and a collectible objet d'art"